WinterFell is a huge castle belonging to the king of the north, occupying large areas and surrounded by a dense forest. It is very cold here and only strong strong people can live in this place. 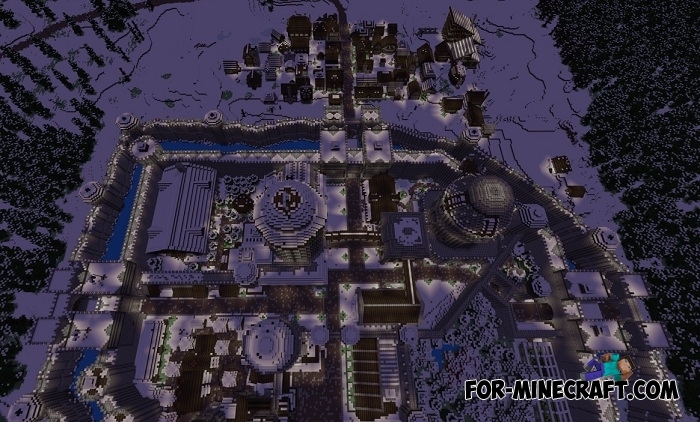 This map almost copies WinterFell from one of the most popular series of Game of Thrones. Seventh season appeared a few weeks ago and for those who carefully watches GOT we highly recommend this project. The castle consists of parts separated by low walls. A huge moat with water protects the property, no one can storm the castle without a lowered bridge. Stark's sacred place is under the castle, where family members are buried. You will find many more surprisingly similar places on this map. 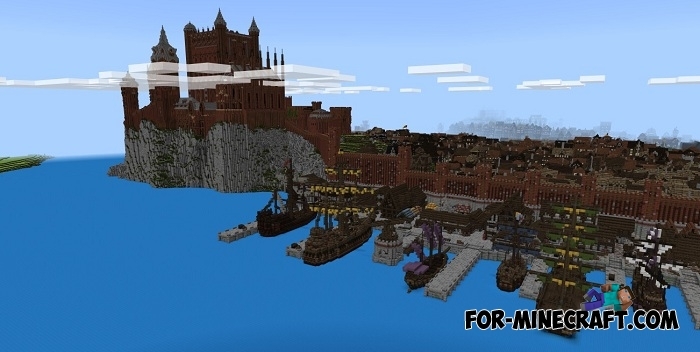 This is a ported version but it works on Minecraft PE 1.1 and 1.2. There may be slight difficulties with textures, but they are fixable and do not interfere with playing. Why you make the map so small. and it not very cold at all.